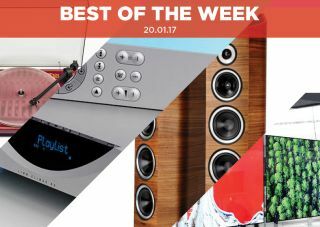 Best of the Week: Linn Klimax DS 3, petition for LG 3D TVs, JBL wireless speaker and more | What Hi-Fi? This week Norway took the first step towards an all-digital future, a petition was spotted calling for LG to reintroduce 3D TVs and to celebrate the late George Harrison's birthday, Pro-Ject is producing a limited edition turntable. Elsewhere we have plenty of reviews, including Linn's Klimax DS 3 music streamer, JBL's Charge 2+ wireless speaker and Sonus Faber's Venere S floorstanding speaker. Norway has started its move to all-digital radio broadcasts by switching off FM radio in some parts of the country. Not all FM broadcasts are being switched off at the same time. Instead it will happen on a region-by-region basis, with the whole country expected to be digital-only by the end of the year. It is estimated that the switch to digital will save £21m a year. At CES this month, LG announced its decision to drop 3D from its OLED and LED TVs. One man has decided they've gone too far. Standing defiantly against LG's stance, Aidan Padden has started a petition aimed at reviving the fortunes of 3D TV. In this case, he has requested that LG includes one 3D-capable OLED TV in its 2018 line-up. Citing that the lack of 3D leaves him unable to watch his 3D collection, his petition has gained over 5,000 signatures so far. Will you add yours? February marks what would have been the late George Harrison's 74th birthday and to celebrate Pro-Ject has knocked up a new limited edition turntable. Called the George Harrison Essential III, the look is based on work by artist Shephard Fairey (who also created the Obama 'Hope' poster). It's available to pre-order for £430. The smartest noise-cancelling headphones in the world? "This streamer’s sound quality sets it apart from just about every rival we’ve heard"
If price isn't an issue, then Linn's Klimax DS 3 is a must-listen piece of kit. For an eye-watering price of nearly £16k, you get class-leading sound, a superb build and finish, and strong and varied dynamics. The omission of digital inputs and lack of DSD playback is a surprise, but you won't find a finer sounding music streamer. "Its sonic character is bold and beefy, and we expect lots of listeners will warm to its, well, warmth"
The Charge 2+ sounds like you'd expect from its looks – bold and beefy. For a speaker of its size it manages to produce a rich, expansive sound that can fill a room. The ability to connect up to three devices at once is a nice feature. With a price drop knocking it down to £110, you'd be mad not to consider it. "There are few floorstanders that manage to deliver the music in such an appealing manner"
Sonus Faber has made a number of talented products and the Venere S is right up there. With a big, bold sound, these are impressively musical speakers that deliver music in an appealing way. They're not the most analytical, but when the sound is this good, we're not that bothered.